Basra (Arabic: البصرة‎‎ al-Baṣrah), is an Iraqi city located on the Shatt al-Arab between Kuwait and Iran. It had an estimated population of 1.5 million in 2012. 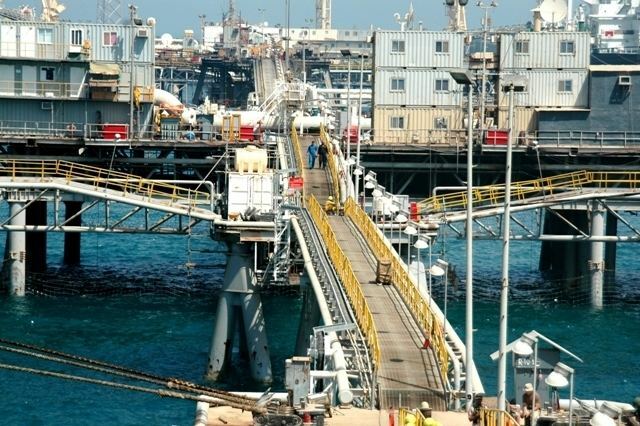 Basra is also Iraq's main port, although it does not have deep water access, which is handled at the port of Umm Qasr. The city is part of the historic location of Sumer, one of the ports from which Sinbad the Sailor journeyed. It played an important role in early Islamic history and was built in 636 (14 AH). Basra is consistently one of the hottest cities in Iraq, with summer temperatures regularly exceeding 50 °C (122 °F). In April 2017 the Iraqi Parliament recognized Basra as Iraq's economic capital. The city was called by many names throughout its history, Basrah being the most common. In Arabic the word baṣrah means "the overwatcher", which might have been an allusion to the city's origin as an Arab military base against the Sassanids. Some sources claim that the name is derived from the Persian word Bas-rah, which means "where many paths meet". Others have argued that the name is derived from the Aramaic word basratha, meaning "place of huts, settlement". 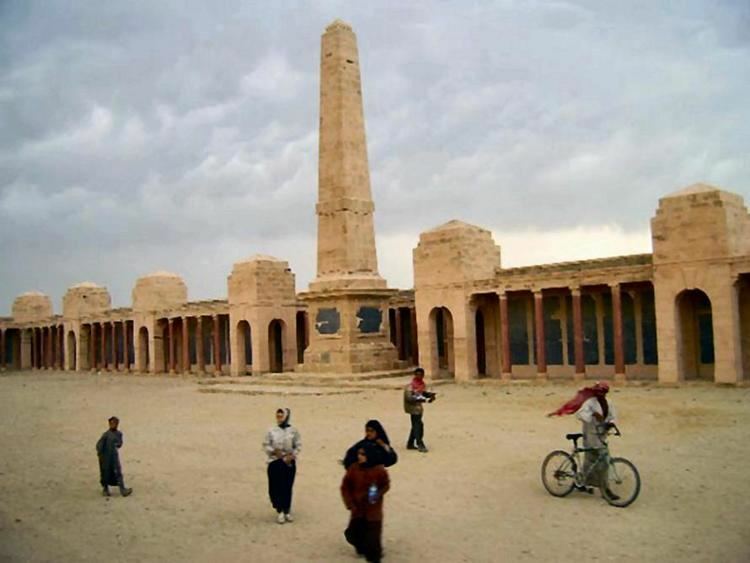 The present city was founded in 636 as an encampment and garrison for Arab tribesmen constituting the armies of the Rashid Caliph Umar a few kilometres south of the present city, where a tell still marks its site. While defeating the forces of the Sassanid Empire there, the Muslim commander Utbah ibn Ghazwan erected his camp on the site of an old Persian settlement called Vaheštābād Ardašīr, which was destroyed by the Arabs. The name Al-Basrah, which in Arabic means "the over watching" or "the seeing everything", was given to it because of its role as a military base against the Sassanid Empire. However, other sources claim the name originates from the Persian word Bas-rāh or Bassorāh meaning "where many ways come together". In 639 Umar established this encampment as a city with five districts, and appointed Abu Musa al-Ash'ari as its first governor. Abu Musa led the conquest of Khuzestan from 639 to 642 and was ordered by Umar to aid Uthman ibn Abu al-ʿAs, then fighting Iran from a new, more easterly miṣr at Tawwaj. In 650, the Rashidun Caliph Uthman reorganised the Persian frontier, installed ʿAbdullah ibn Amir as Basra's governor, and put the military's southern wing under Basra's control. Ibn Amir led his forces to their final victory over Yazdegerd III, the Sassanid King of Kings. Abd al-Malik ibn Marwan reconquered Basra in 691, and Basra remained loyal to his governor al-Hajjaj during Ibn Ashʿath's mutiny (699–702). However, Basra did support the rebellion of Yazid ibn al-Muhallab against Yazid II during the 720s. In the 740s, Basra fell to as-Saffah of the Abbasid Caliphate. During the time of the Abbasids Basra became an intellectual centre as it was the home city of the Arab polymath Ibn al-Haytham, the Arab literary giant al-Jahiz, and the Sufi mystic Rabia Basri. The Zanj Rebellion by the agricultural slaves of the lowlands affected the area. In 871, the Zanj sacked Basra. In 923, the Qarmatians, an extremist Muslim sect, invaded and devastated Basra. From 945 to 1055, a Buyid dynasty ruled Baghdad and most of Iraq. Abu al Qasim al-Baridis, who still controlled Basra and Wasit, were defeated and their lands taken by the Buyids in 947. Adud al-Dawla and his sons Diya' al-Dawla and Samsam al-Dawla were the Buyid rulers of Basra during the 970s, 980s and 990s. Sanad al-Dawla al-Habashi was governor of Basra and built a library of 15,000 books. In 1911, the Encyclopædia Britannica reported "about 4000 Jews and perhaps 6000 Christians" living in Basra, but no Turks other than Ottoman officials. In 1884 the Ottomans responded to local pressure from the Shi'as of the south by detaching the southern districts of the Baghdad vilayet and creating a new vilayet of Basra. The population of Basrah was 101,535 in 1947, and reached 219,167 in 1957. The University of Basrah was founded in 1964. By 1977, the population had risen to a peak population of some 1.5 million. The population declined during the Iran–Iraq War, being under 900,000 in the late 1980s, possibly reaching a low point of just over 400,000 during the worst of the war. The city was repeatedly shelled by Iran and was the site of many fierce battles, such as Operation Ramadan and Operation Karbala 5. On 21 April 2004, a series of bomb blasts ripped through the city, killing 74 people. The Multi-National Division (South-East), under British Command, was engaged in Security and Stabilization missions in Basra Governorate and surrounding areas during this time. Political groups centered in Basra were reported to have close links with political parties already in power in the Iraqi government, despite opposition from Iraqi Sunnis and the more secular Kurds. January 2005 elections saw several radical politicians gain office, supported by religious parties. American journalist Steven Vincent, who had been researching and reporting on corruption and militia activity in the city, was kidnapped and killed on 2 August 2005. Basra was scheduled to host the 2014 Gulf Cup of Nations tournament in Basra Sports City, a newly built multi-use sports complex. The tournament was shifted to Riyadh, Saudi Arabia, after concerns over preparations and security. Iraq was also due to host the 2013 tournament, but that was moved to Bahrain. An all-time high temperature was recorded on July 22, 2016, when daytime readings soared to 53.8 °C (128.8 °F). This is one of the hottest ever measured temperatures on the planet. The following night, the nighttime low temperature was 38.8 °C (101.8 °F), which also accounts for one of the highest minimum temperatures on any given day, only outshone by Death Valley, California, USA, and Khasab, Oman. In Basra the vast majority of the population are ethnic Arabs of the Adnanite or the Qahtanite tribes. The main tribes located in Basra are Al-Emarah, Bani Mansour, Bani Tamim, Bani Assad, Bani Ka'ab, Bani Malik, Shammar, Bani Khalid, Bani Sa'ad, Al-shwelat `Anizzah, Suwa'id, Al-bo Mohammed, Al-Jboor, Duwasir, Dhufair, Shreefat, Al-Badr, Al-Ubadi, Ruba'ah Sayyid tribes (descendants of the Islamic prophet Muhammed) and hundreds of other Arab tribes. In addition to the Arabs, there is also a community of Afro-Iraqi peoples, known as Zanj. The Zanj are a Muslim Ethnic group living in Iraq and are a mix of African peoples taken from the coast of the area of modern-day Kenya as slaves in the 900s. They now number around 1.5 million in Iraq. In 2006, Muslim adherents were about 95% Shia and 5% Sunni but in 2014 99.3% shia, 0.4% sunni and 0.3% other. Assyrians were recorded in the Ottoman census as early as 1911, and a small number of them live in Basra. However, a significant number of the modern community are refugees fleeing persecution from ISIS in the Nineveh Plains, Mosul, and northern Iraq. One of the largest communities of pre-Islamic Mandaeans live in the city, whose headquarters was in the area formerly called Suk esh-Sheikh. They number around 3,000. Shipping, logistics and transport are also major industries in Basra. 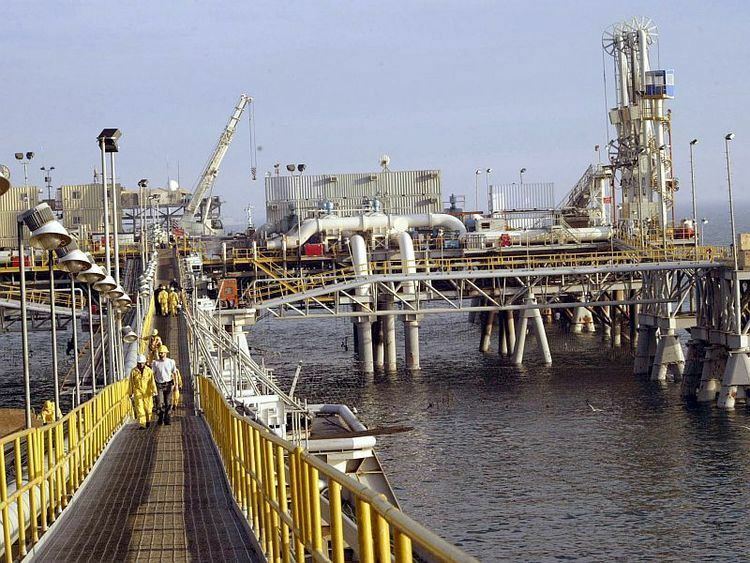 Basra is home to all of Iraq’s six ports; Umm Qasr is the main deep-water port with 22 platforms, some of which are dedicated to specific goods (such as sulphur, seeds, lubricant oil, etc.) The other five ports are smaller in scale and more narrowly specialized. Fishing was an important business before the oil boom. The city also has an international airport, with service into Baghdad with Iraqi Airways—the national airline. The Simpsons Season 28 episode "Trust but Clarify" had Kent Brockman's false war story having him being with a platoon in Basra, Iraq.